The Planai parking house, designed by Hofrichter-Ritter Architects and Peter Mandl GmbH, exhibits a large column less parking space. 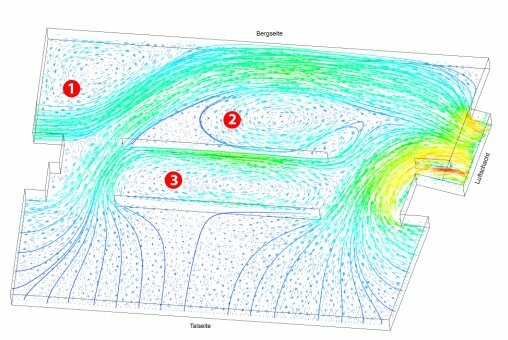 To assess the fire safety of the beams which support the concrete floors, a CFD analysis was carried out. 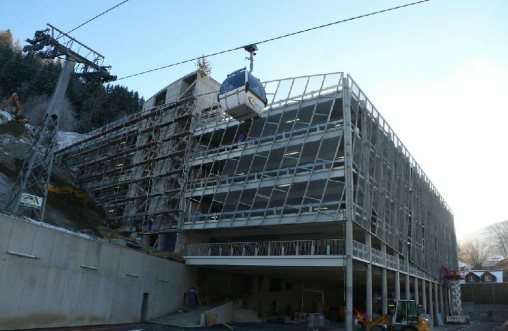 It showed that in case of a fire emergency, heat transfer within the acjacent steel structure is sufficient to keep its temperature below the safety margins. Hence, the cost for additional insulation along the beams could be saved. 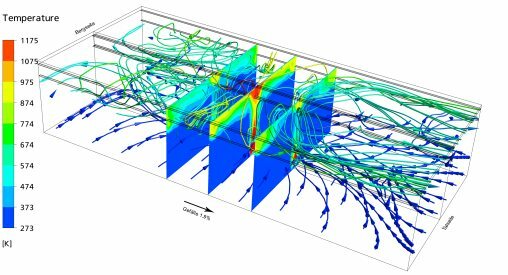 Streamlines and temperature sections at a time of 27 min after initiation of a fire emergency..
Streamlines and velocity vectors of air flow due to natural convection under normal operating conditions.